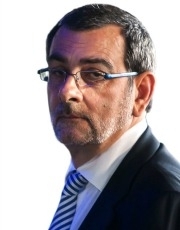 Luca Ciferri is associate publisher and editor of Automotive News Europe. The buzz at last month's Geneva auto show was what would PSA CEO Carlos Tavares do to streamline his enlarged stable of brands, given that Citroen, Peugeot and new addition Opel/Vauxhall all compete in Europe's saturated volume car market. If that's not challenging enough, Tavares' near-premium DS brand has a long way to go to get on the same shopping list as a BMW, Audi or Jaguar. Tavares said he does not foresee plant closures, job cuts or brand eliminations at Europe's second-largest automaker because there are northern European markets where a German car will continue to be preferred to a French one while the opposite is true in southern Europe. Some automaker and supplier executives, who are not directly affiliated with PSA, told me they have heard rumblings in Paris that the Citroen brand could be axed soon. Under that scenario, PSA would count on French-styled Peugeots to lead the way in southern Europe while German-centric Opels would be the flagship brand in northern Europe, with all of the cars sharing the same underpinnings. As an added benefit, it is expected that outside of Europe -- especially in China -- Opels and Peugeots would draw completely different customers, something that Peugeot and Citroen struggle to achieve. Analyst Max Warburton of Sanford C. Bernstein in London has a different view. He expects Tavares to eliminate the Vauxhall name, which is only used in the UK, and replace it with Opel. He foresees Tavares moving fast to start exporting jointly developed PSA-Opel models such as the Crossland X and Grandland X crossovers into new markets such as China. The analyst also predicts that Opel could be pushed upmarket to replace the struggling DS brand. Warburton noted that Opel and Vauxhall's biggest problem is not product, but pricing. He said Opel/Vauxhall gives cars away "with immense discounts, sells them like a commodity to fleets and, to quote one industry friend, 'Builds brand new second-hand cars'." For a man like Tavares, who values profit over volume, selling cars at a loss is unacceptable. Therefore, he can't be pleased with market analysts DataForce's figures, which show that last year Opel/Vauxhall sold nearly 40 percent of its cars in Europe's five biggest markets via low-margin special channels. This includes daily rentals as well as automaker, importer and dealer self-registrations. At best, special channel sales are breakeven, but in most cases they are an unprofitable way to inflate volumes. Opel is not the only brand in the enlarged PSA family with this problem. DS counted on special channels for 35 percent of its sales in the region's five largest markets last year. Focusing only on Germany, Europe's largest car market with 22 percent of the region's total volume, DS and Opel ranked No. 1 and No. 2 in special channel sales, each counting on the money-losing option for 60 percent or more of their sales. To put it bluntly, those numbers are terrible. Fortunately for Opel and DS, Tavares has a knack for fixing this problem, having already done so at Citroen and Peugeot, as well as his previous employer, Renault.